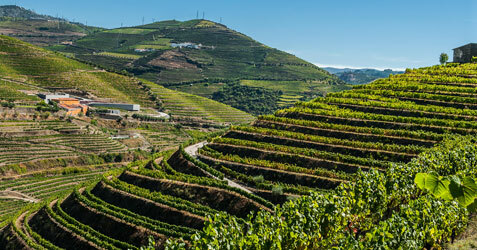 Portugal’s Quinta Do Vallado has a history that dates back to the 18th century. It’s now in its sixth and seventh generations of stewardship by the Ferreira Family. Their portfolio focuses on dry wines, but as they sit in the Douro, naturally they also make several ports. I recently tasted through much of their current portfolio, as well as some older vintages. I was struck by the quality, drinkability and age-worthiness of their wines as a whole. In addition, I also found that it would be easy to select all the wines for my Thanksgiving table from their offerings. So with Thanksgiving just about a month away, here’s a look at four wines that offer perfect holiday sipping from the moment your guests arrive through the final bite of dessert. Quinta Do Vallado 2012 Rosado – This Rosé is composed entirely of Touriga Nacional. All of the fruit was sourced at Estate Vineyards and fermentation without skins took place in a temperature-controlled environment over one month. This Rosado has a suggested retail price of $22.99. The most extraordinary thing about this Rosé is how remarkably fresh it still is after two years. Too often Rosé’s are good for one season and then get tired; that’s not the case here. Fresh, red fruit aromas lead the nose and continue on the super-appealing palate. Spices, bits of citrus and an underlying mineral core are in evidence as well. This wine is well crafted and fun to drink. Simply put it’s delicious. This would work perfectly as a “welcome” wine on Thanksgiving. Pour it for your guests as they walk through the door and keep it on hand through appetizers. Everyone will love it. Quinta Do Vallado 2011 Touriga Nacional – All of the fruit for this wine, 100 percent Touriga Nacional, was picked at their Estate Vineyards. Fermentation took place in stainless steel tanks followed by 16 months of barrel aging in French oak. The barrels used were a combination of new (30 percent); the balance of the barrels was once or twice used. About 6,500 six-bottle cases were produced, and it has a suggested retail price of $59.99. Violets and cherry blossom appear on the nose along with bits of clove. Cherry, ripe strawberry and loads of spices make up the substantial palate. All the vibrant fruit flavors carry though the finish, along with continuing spices, bits of chicory and a touch of dark chocolate. This wine is great on its own but remarkable with food. It would be an excellent choice to serve with a hearty soup, pasta in red sauce or other first course. Quinta Do Vallado 2011 Douro Red Reserva – This wine is a classic Portuguese Field Blend composed of more than 20 varieties; 80 percent of the fruit came from a vineyard more than 80 years old, and the balance from vines with 20 years of age. Different lots of fruit were vinified separately. 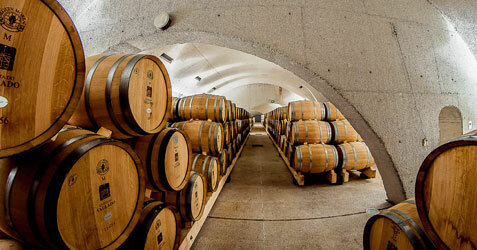 After fermentation the wine was racked into new (70 percent), and used (30 percent) French oak, and aged for 17 months. They produced 7,000 six-bottle cases and it has a suggested retail price of $64.99. Copious black and red fruit aromas burst forth from the nose of this blend. The palate rides the line between intense power and graceful precision. There are tons of concentrated black fruit and tannins present, as well as subtler layers. Vanilla, plum, blackberry and earth are all in heavy evidence on the finish. Decant this wine for best results and serve it with your Thanksgiving turkey and all the trimmings. They’ll make each other sing. 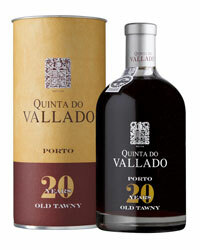 Quinta Do Vallado Twenty Year Old Tawny Port – All of the fruit for this Port came from Estate Vineyards. It’s a blend of Tinto Roriz, Tinta Amarela and Tinta Fraca, as well as several others. Aging took place in a combination of old oak casks and vats. About1,000 bottles of this wine were produced and it has a suggested retail price of $79.99. Apricot and baker’s spices emerge from the nose of this Tawny Port. White spiced peaches and a host of stone fruits fill the smooth palate, which dances on your tongue delightfully. The finish is impossibly long and impressive with spices reverberating. Pair this Tawny Port with a cheese course for the perfect ending to your meal. In addition to the wines above, I also tasted through some older vintages of the Touriga Nacional and the Douro Red. They proved to be exceptionally age-worthy wines with consistent levels of quality. Certainly there is some vintage variation, but that’s what you want in site-driven wines. Considering the price points, quality level and age-worthiness of the reds, the Quinta Do Vallado wines represent terrific values. While my specific point is that these wines would make for a delicious addition to your Thanksgiving, the broader one is that they’re a producer you should be considering for your table — special occasion or otherwise. And if aging wine is your thing, buy up some age-worthy Portuguese offerings now before every wine geek in America is hoarding them.